The oil extraction method known as hydraulic fracturing may be controversial in California, but it's not at all new. Fracking, as it's known, has been happening for more than 40 years in Kern County, north of Los Angeles. Oil is the lifeblood of this place. There are parts of Kern County that are covered, as far as the eye can see, with oil wells. 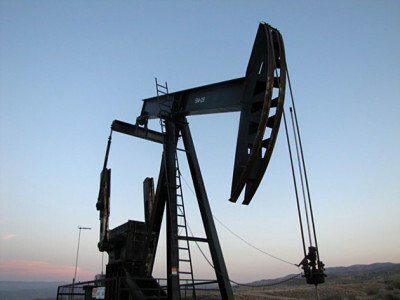 Above ground pumps -- they're known as "nodding donkeys" -- bob up and down all day long sucking oil out of the ground. 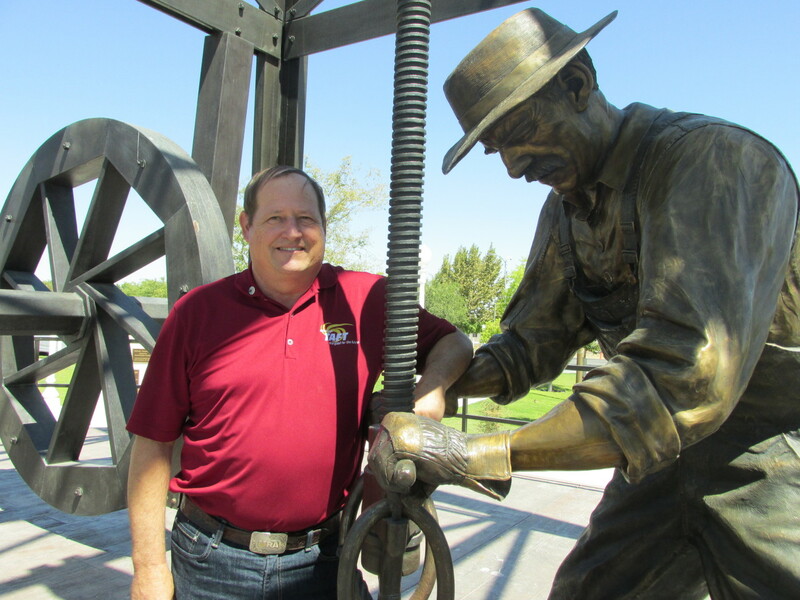 The town of Taft is at the heart of Kern County's oil industry. It was built on top of the huge Midway-Sunset Oil Field, the largest in California, more than a century ago. Highway 33, also known as "the Petroleum Highway" runs through the center of the oil field. "There's lots of oil here," said Taft Mayor Pro Tem Orchel Krier, "and the old saying is 'if you smell the oil, that means money.'" But, Krier said, new state regulations aimed at slowing down fracking are bringing uncertainty to oil exploration here -- and could discourage oil companies from investing. 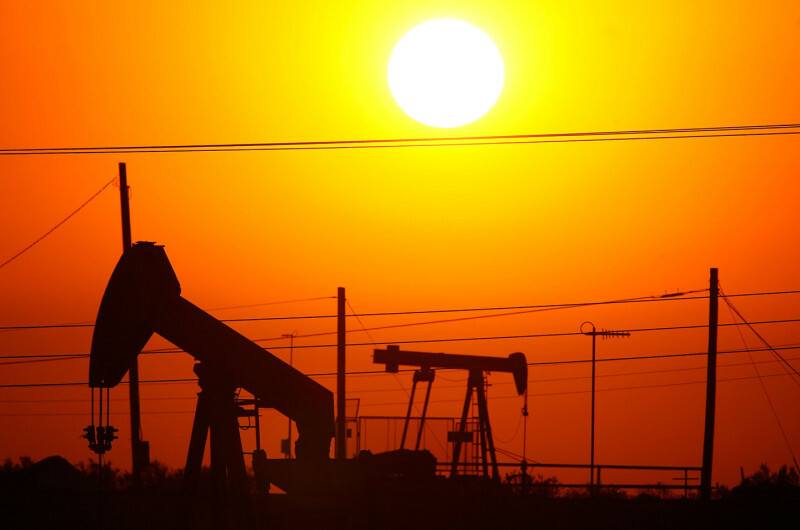 "California is so tough on the oil industry it's easier to go out of state," he said. "They can't afford to leave a rig idle." Oil is to Taft what technology is to Silicon Valley -- it's hard to separate the two. A 40-foot bronze Oilworker Monument sits prominently in the town square. And the West Kern Oil Museum is on the outskirts of town, with memorabilia, replicas -- even a giant oil derrick and pump out back. Enthusiasm for oil infuses most of the county's elected officials. "Here in Kern County, it's not like other parts of the state," said Shannon Grove, who represents this area in the State Assembly. She spoke from her Dodge SUV, parked near the Kern River and surrounded by oil wells. Grove said Kern County is unlike places like North Dakota where fracking popped up suddenly in towns that never had an oil industry presence, triggering economic boom and protest. "There's thousands of wells out here versus one well in a particular city or two wells in a particular city," she said. "There's thousands out here. And they're all in the same location and the same place." In addition to being a U.S. Army veteran and small-business owner, Grove is a dynamo of boosterism for the oil industry and all the jobs it creates. "You know, you have 15 people on a day shift, and 15 people on a night shift for a drilling rig," she said. "But aside from that, just to set up that drilling rig, you have an engineering crew, you have a site crew, an excavation crew, you've got a gravel crew. You've got truck drivers that haul that gravel to the site. You've safety contractors that supply safety goods to these contractors. There's training consultants. You know it's a huge impact." The Republican legislator has no patience for environmental critics who say fracking is too risky and needs to be reigned in. She insists the fracking seen here can't be compared to what's been happening in other states. "The fracking that we're using here in Kern County is on old wells. I mean they're all mature wells," she said. "This field has been operating on the Kern River for almost a hundred years. And it's, there's no river contamination. And the bottom line is it's safe. And technology even makes it safer every day." Grove and others are hoping that new technology around fracking will be the key to unlocking additional oil reserves in the massive underground rock formation known as the Monterey Shale. It runs mostly from Kern County up through the Central Valley -- a more than 17-hundred square mile area. So far at least, extracting that oil has proved elusive. Still, concerns about potential contamination of groundwater by more, new fracking have led the Legislature to toughen regulations on future drilling. But worries about fracking in Sacramento don't seem to be shared in Kern County. Bill Kostner was at a minor league baseball game on a weekday night this summer. It wasn't hard to find people with ties to the oil industry there. Kostner works for a Bakersfield company that makes valves for Chevron. His opinion on fracking? Basically "drill baby drill." "Whatever any oil company needs to do to get oil out of the ground, I'm a proponent of," he said. "If it has to come out of the ground through fracking, so be it." But whether they work for the industry or not, it's hard to find anyone here who has a bad thing to say about fracking. Some expressed support for "home grown" energy that helps free the U.S. from reliance on Middle East oil. Others dismissed concerns about environmental damage or other problems critics associate with fracking. In fact, the very idea that additional fracking could give new life to Kern County’s oil industry generates a spark of enthusiasm from local officials, including Lorelei Oviatt, Kern County’s planning director. "At least 50% of our revenue comes from the oil industry," Oviatt said. The way she sees it, "full speed ahead" is the only way to look at drilling and fracking. "California has a reputation for not moving fast enough," Oviatt said. "That's not true here in Kern County." But is the county cutting corners to fast track so much drilling? "We're not cutting corners," she said, "but at the same time we are known for streamlining processes. And we do this because this is the kind of economy we have." In fact, dozens of major energy companies call Kern County home -- and not just oil producers. The nation's largest wind farm is here, and the largest solar power facility is expected to come online late next year. Oviatt said she wishes environmentalists on the coast who criticize Kern County's energy development would worry less about what she sees as tenuous environmental issues and give more support to policies that help create jobs. "California has created a structure that's not very business friendly," she said. "And unless we’re all going to live on inherited wealth or we're all going to be 'dot com-ers,' I think we’re going to need to be careful about how we build our economies."